While I’ve had leather skirts and pants the last couple of years, the one thing I had yet to invest in was a solid pair of leather shorts. This season the leather trend is even more widespread, so I figured now’s the time! 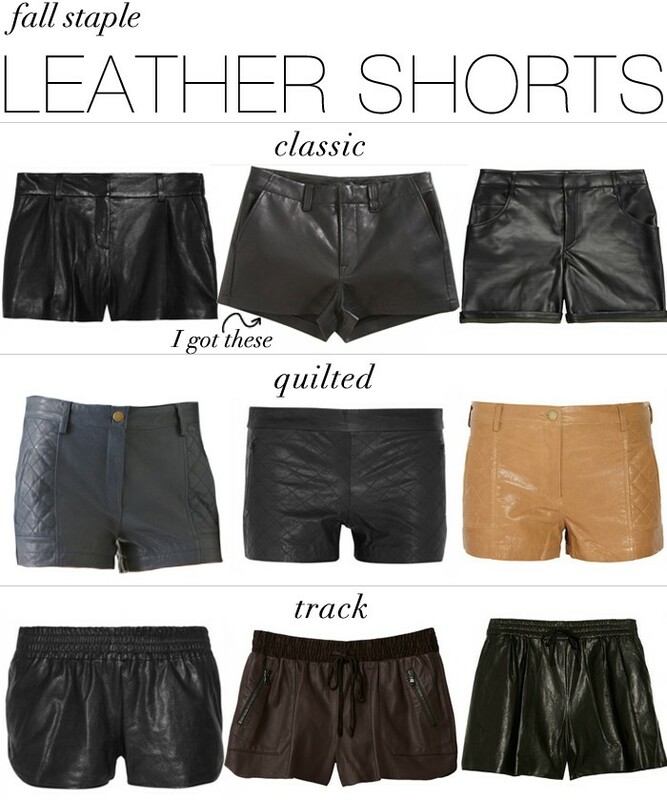 With so many options of colors, styles and fits, I decided to go with a classic – the J BRAND Lola Leather Short. I already have the Lola in another fabric so I know they fit me well. I brought them with me to fashion week so look forward to an outfit recap incorporating them!